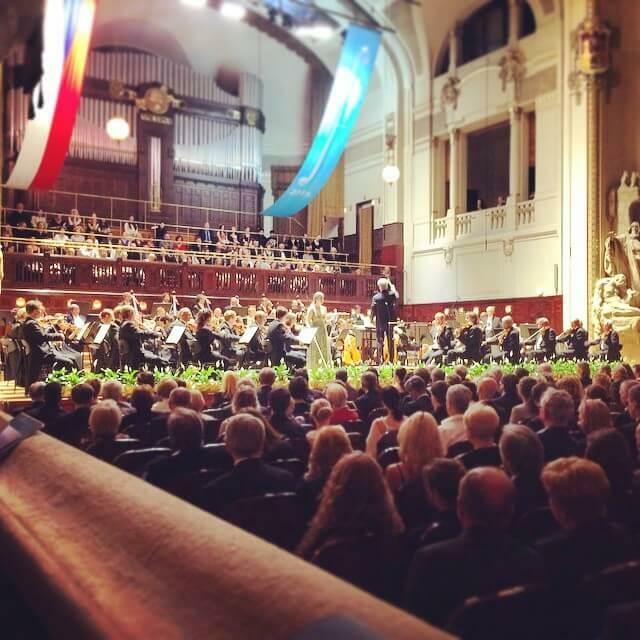 Each summer the quintessentially romantic city of Prague hosts one of the premier music festivals Europe has to offer: the Prague Spring International Music Festival. This glorious celebration of classical music is famed for showcasing the very best performing artists, symphony orchestras and chamber music ensembles from across the globe. The festival is renowned for uncovering some of the world’s most talented up-and-coming young performers via the prestigious Prague Spring International Music Competition. The Prague Spring International Music Festival came into being 70 years ago when legendary Czech conductor Rafael Kubelík put together some of the greatest musical works of all time to deliver subtle (and not so subtle) political statements. The very first Prague music festival in 1946 was an immediate success, with all manner of esteemed Czech and foreign musicians falling over themselves to attend the event and showcase their talents in Eastern Europe’s uncertain post-war era. Even through the dark years of Soviet occupation in the 50s and 60s, the Prague music festival continued to work towards its ideal of combining the best of Czech music with the works of elite musicians from around the world. After the Soviets retreated to home turf, the festival was free to embrace the modernisation that has turned it into the wildly popular institution it is today. The Prague music festival’s traditional home is the Rudolfinum concert hall, a gloriously elegant neo-Renaissance building in the heart of the city. As well as enjoying a majestic setting right next to the Vltava River, the Rudolfinum boasts the Dvořák Hall, one of the oldest and most revered concert halls in the world. If you’re an art aficionado, be sure to visit the venue’s Galerie Rudolfinum – a rather splendid visual arts gallery that has a notable penchant for unusual contemporary works. ‘The city of a hundred spires’ draws visitors from all over the world. As well as its showcase of classical music, this gothic city has some of Europe’s most breathtaking architecture and liveliest taverns. When it comes to what to see in Prague, the well-trodden path is most beautiful. 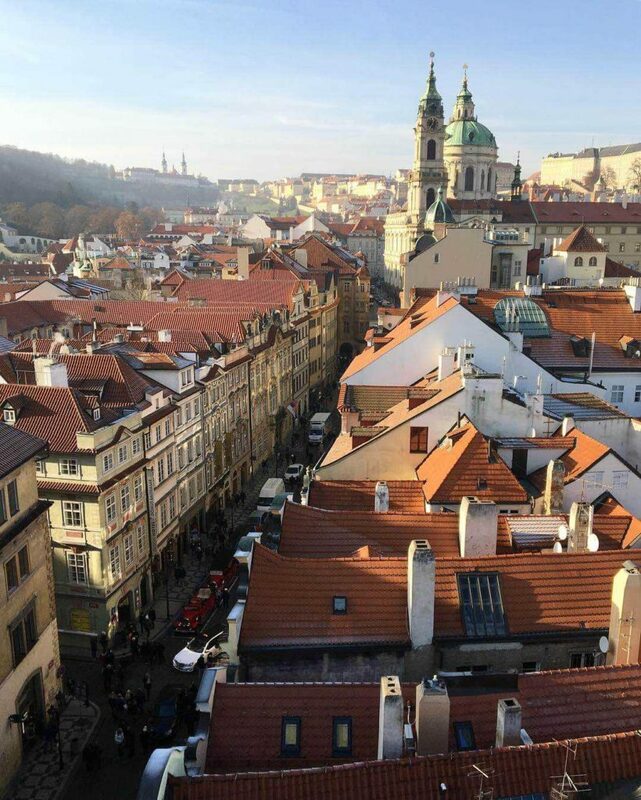 Don’t miss Hradčany’s iconic sights, like the towering Prague Castle and romantic Charles Bridge, before you seek out a clandestine absinthe joint down a quaint cobbled alleyway. Be sure to catch the Astronomical Clock strike the hour in Old Town square and duck into EMA Espresso Bar on Na Florenci for a quick pick-me-up. Wander round modern-day Bohemia in bustling Žižkov. It’s a little rough round the edges, but the surreal bars – like Malkovich Bar on Bořivojova – and communist landmarks more than make up for it. Venture a little further out of town to discover one of Prague’s best-kept secrets: Smíchov’s Italian wine and food market. Create a picnic from the fayre on offer, including fine cheeses, cured meats and marinated peppers. Once you’ve uncovered the hidden gems of the city, catch a tram to Staroměstská for the Prague Festival, preferably a good few hours before the fat lady sings. If you’ve not had the pleasure of attending the Prague Spring Festival before, now’s the time to put the plans in place. The 2017 festival is scheduled to run from 12th May to 2nd June and will open with the world-renowned Vienna Philharmonic, conducted by Daniel Barenboim. Don’t miss this spell-binding event: book your tickets online for the best seats in the house.